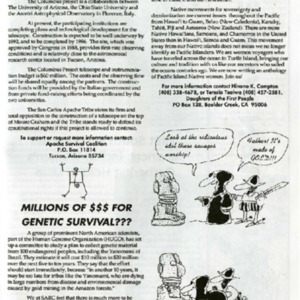 The Human Genome Project wants to collect samples from the Yanomami. 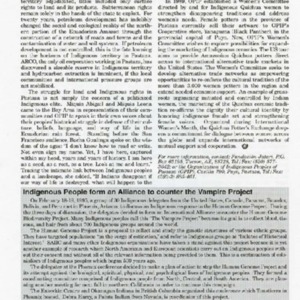 "We Must Combine Our Efforts"
Indigenous people decide to try and stop the Human Genome Project. 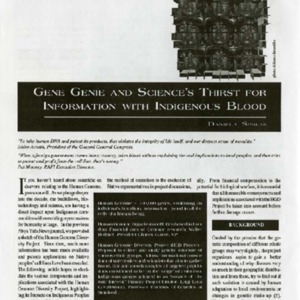 This project is collecting and studying genetic structures without the consent of almost extinct populations of indigenous peoples.